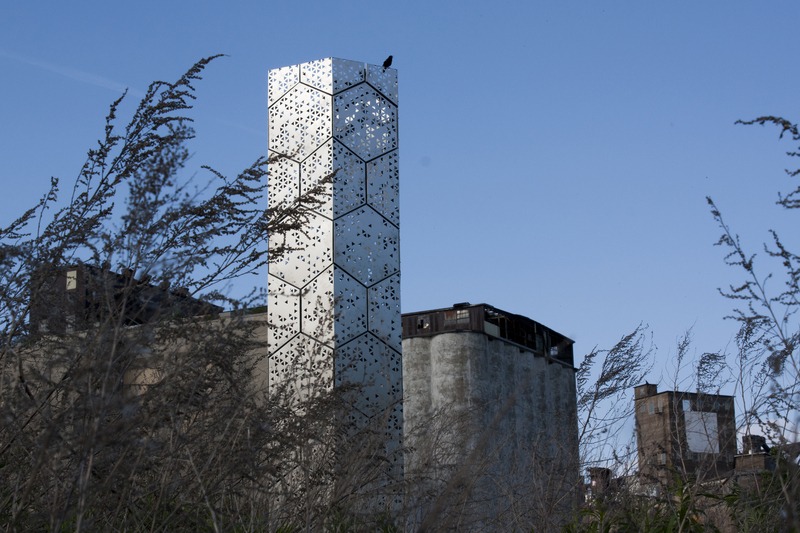 The 22-foot-tall stainless-steel tower was dreamed up by a team of students from the University at Buffalo’s School of Architecture and Planning. It was their solution for relocating a massive colony of bees found in the wall of a nearby office building. Because global bee populations are in peril (due to invasive parasites, climate change and pesticides) and are extremely vital (bee pollination, according the Food and Agriculture Organization of the United Nations, is responsible for cultivating 71 per cent of the world’s most plentiful crop species), calling the exterminator would have been unconscionable. While singularly elegant, the project in Buffalo is not alone. So-called bee hotels are becoming more prevalent as a way to encourage the winged creatures to repopulate, and designers are taking up the challenge of making the structures visually stunning as well. Essentially all paper, it sits outside, surrounded by gardens. But because it is coated in locally sourced beeswax, the corrugated pile is rain resistant and sustained only minor damage in the city’s recent flooding. In a sense, a four-foot stack of cardboard sheets is perfect for mason bees because the corrugations give them so many little places to burrow. And the Popovskas have interspersed cardboard tubes to provide a variety of burrow sizes. Although bee hotels are similar to birdhouses – if you build it, they will likely come – the sisters used an artificial scent to help attract the insects. The smell tricks the critters into thinking that other mason bees have previously nested in the crevices, making them suitable places to live. But Hunter points out that, unless you have a ravine’s worth of plant life for the bees to feed on, as is the case at the Brick Works, having such a large hotel may not be practical. For interested backyard mason beekeepers who want pollinators for their flower patch, Hunter offers much smaller bee houses through his website, crownbees.com, that can provide homes for just a handful of bees at a time. Coquitlam, B.C.-based Margriet Dogterom, who has a PhD in biology and runs the pollination-products website beediverse.com, offers similar kits and agrees that, for most homeowners, a few bees go a long way. 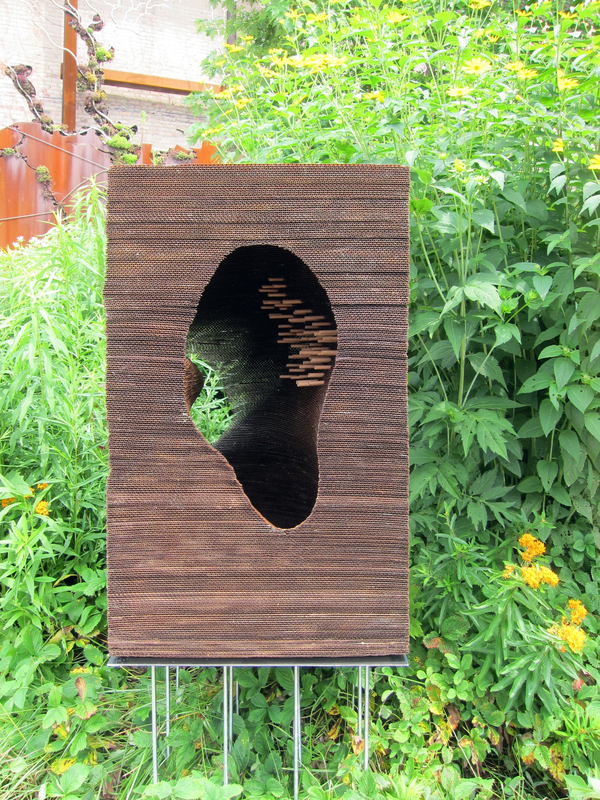 This entry was posted in Urban Behaviour and tagged Architecture, Cardboard, Design, Evergreen Brick Works, Honey Bee, Mason Bee by mmhague. Bookmark the permalink.